He remembers the broken leg he suffered while skiing in a steep mogul field at Mount Snow in Vermont one cold day in 1977, remembers the painful rebreak and reset, then the long monotonous hours spent in a hospital bed in Boston. And Bob Kingsland remembers well the notion that took shape in his mind that winter day three decades ago, though he could not yet conceive of the size, materials, color, nor certainly how long it would take him to execute it. 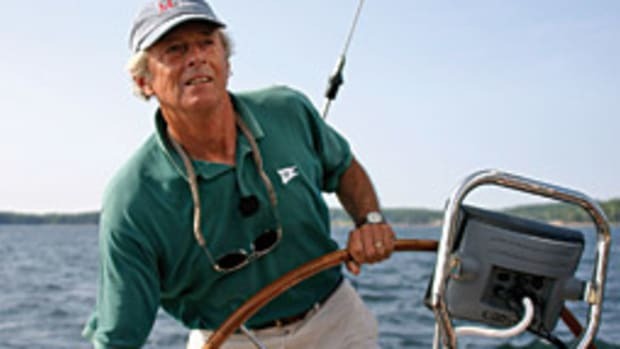 He would build a sailboat, not an uncommon dream for a young man. 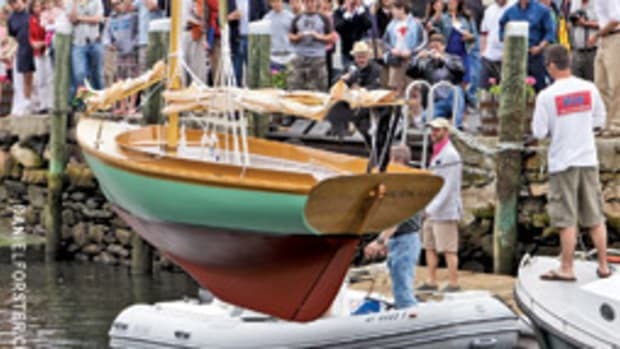 But when Kingsland launched his 50-foot steel cutter on the waters of Scituate Harbor, Mass., one June day in 2007, the first feeling of a life pulse under his feet was sweet affirmation of 30 years of steady work on a dream boat. 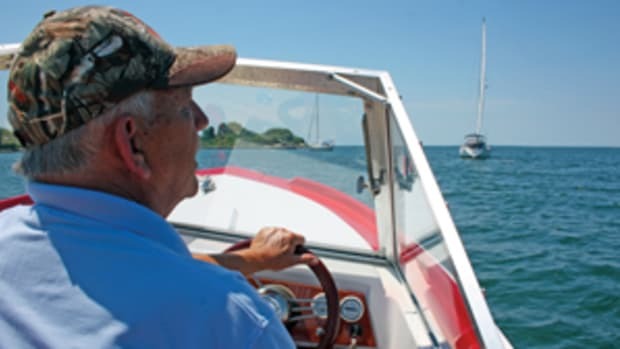 For years, Kingsland says, he had wondered about the feeling of this day: the launch, the movement and sound of water beneath the hull, the first sputtering of his “new” 18-year-old Perkins diesel — even the possibility that she might not sit right on her lines. But looking back on launch day, accompanied on the bow by his wife, Sandy, and two daughters, Haley and Brooke, and about 500 spectators cheering from the harborside, one physical reality of that moment stands above the rest for Kingsland. 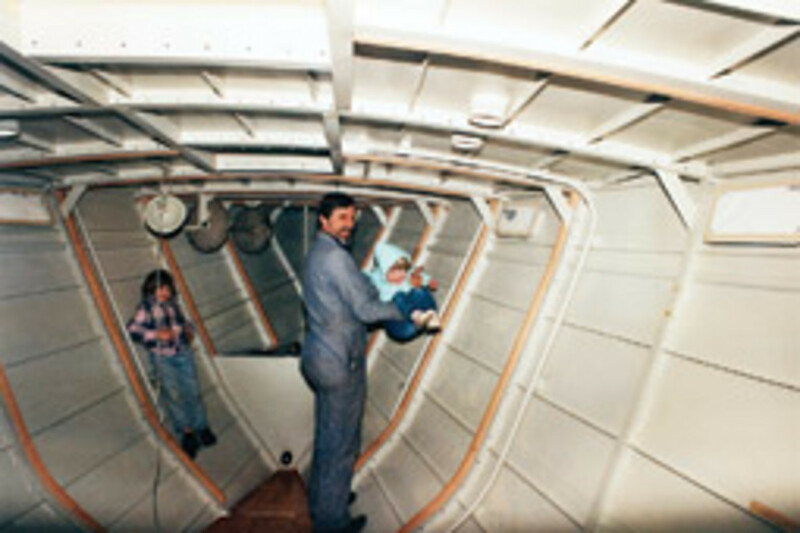 Since laying the keel in 1979, Kingsland’s 21-ton creation Restless took shape in boat sheds, the decks and rail clearing the roof by just a few feet, forcing him to stoop as he worked. “Of all the things I thought I’d feel or experience when [Restless] was launched, I never thought of that: what it would be like to finally stand upright on the deck,” says Kingsland, a 62-year-old who trained as an anthropologist and metal sculptor at Brown University in the 1960s. Another unexpected consequence of the launching after the marathon process of building a major boat while simultaneously raising a family and earning a living: Kingsland has become an inspiration for all sorts of long-suffering dreamers. But lone visionaries, sometimes misunderstood, often minimalized and usually wracked by self-doubt, bear little resemblance to Kingsland whose only outward sign of aging since he started on Restless has been a salt-and-peppering of his full beard. 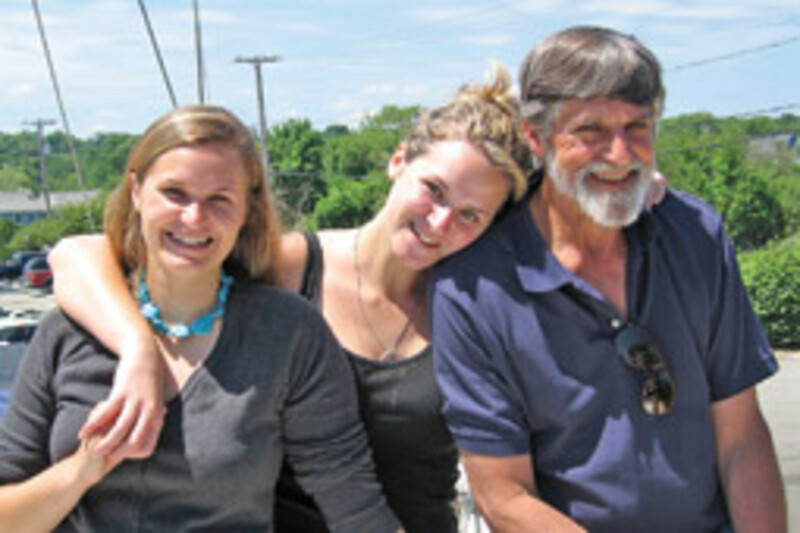 Before the family — Sandy, Haley and Brooke — came into his life, there was the boat. There has always been the boat, sometimes referred to by Kingsland as “it.” But rather than the family learning to put up with it, Kingsland somehow integrated the two parts of his life with the seamlessness of the welded plates of Restless’ hull. In the Restless archives is a photo from the ’70s showing Kingsland with his daughters climbing among the welded rib frame. It reminded Haley of being inside a whale. Whenever they visited the boat as toddlers, the girls would say they were going to “The bop” (the shop), and to this day, The Bop still remains a place both in reality and in their longest memories. Both girls remember working on the boat as well, jobs that included such painstaking exotica as cleaning dried varnish from minute wood crevasses on an engine room floorboard using dental picks handed down from Bob’s dentist grandfather. Not that it was a total family affair. For much of the time Bob worked alone or with the help of friends Joe Costa and Ted Carr. Charles Jones helped set the tone for the metal work, and Manny DeCosta did the same for the woodwork. “Without them, Restless would not be where it is today, that’s for sure,” says Bob. In his mind, despite “it” in the backyard shop, what became most important is that his children live as normally as possible, with the wherewithal to have the things any growing kids do in a coastal Boston suburb like Scituate. “It was very important to me that the family had everything they needed. If I hadn’t been able to give them that kind of normal life, then things would have been very different,” he says. His schedule throughout all but the summer months is meticulous. He rises at 4:20 a.m. and, before heading to Boston University where he is a technology engineer in the hard sciences, he has always been able to get in two or three hours on the boat. Then, on weekends, he could get in 20 hours, showing his devotion to Restless on a schedule of 30 to 35 hours a week for nine months of the year. The entire project, he says, has been one of judgment and difficult compromises. 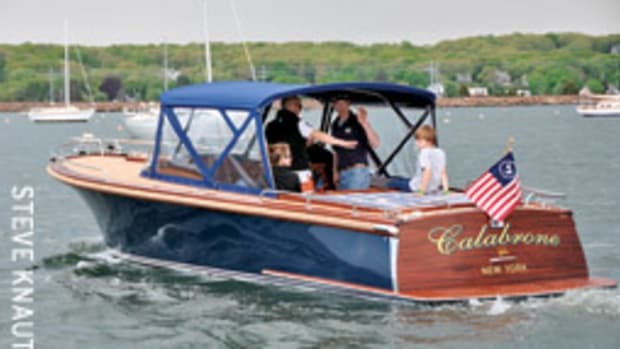 When he was about three years into the job — the keel, welded frame and deck housed in an empty auto-body shop in Cohasset, Mass. — one of those choices presented itself. While a harder chine hull would have made it easier to fit together the steel plates, Kingsland thought the appearance “too hard and prismed” and sought a more rounded, softer curve for the lower topsides. After fitting all the plates together in a series of minute straight lines, a few weeks later he tore all the work apart, remolded the plate and refastened. An enormous job. At one point he looked at the cabin trunk and found the line too square and abrupt. So he made the modifications to ease the roof line, making it seem as though it integrated with the lines of the deck. In this way, Kingsland’s creation has always been about sculpture. 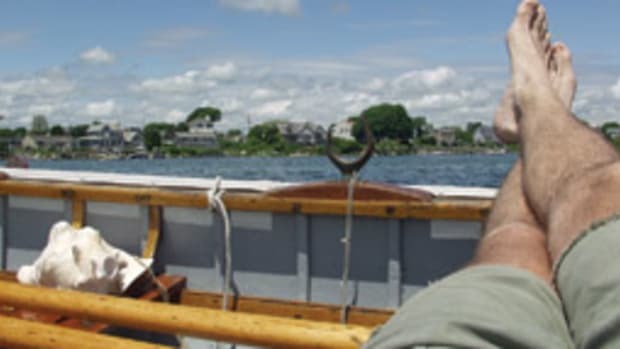 Thus, as the toil went on, Kingsland was aware he was doing more than crafting a boat with his hands — though he never imagined it would be more than a quarter-century before his creation would float. 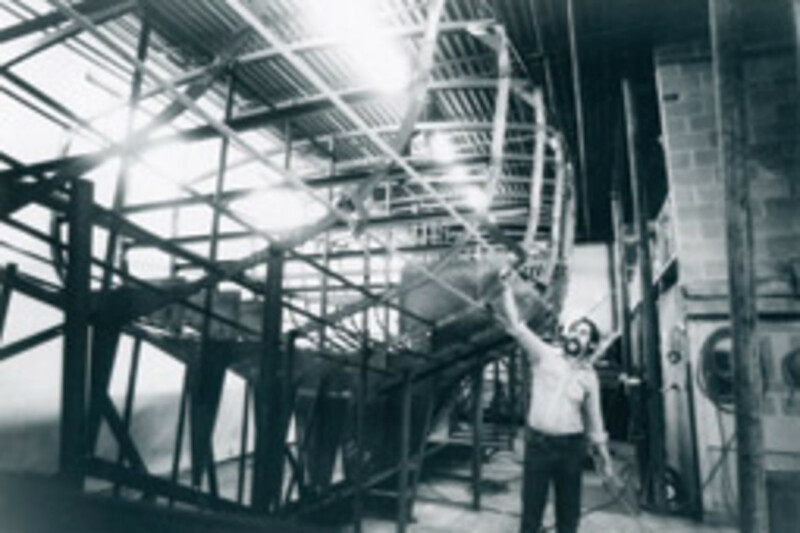 Throughout the building process, Kingsland’s views and philosophy about his project oscillated like this question of sailing or selling, sailing then selling, or keeping the boat as a magic carpet for his family. And he is most proud of a call made to him last spring by designer Ted Brewer who looked over Kingsland’s Web site (www.sv-restless.com) and called to congratulate him. Aside from its beauty and artistry, Restless is a world cruiser in every sense. Buttoned down, the hull can withstand a 360-degree rollover and the broad decks can collect large quantities of purifiable rainwater. 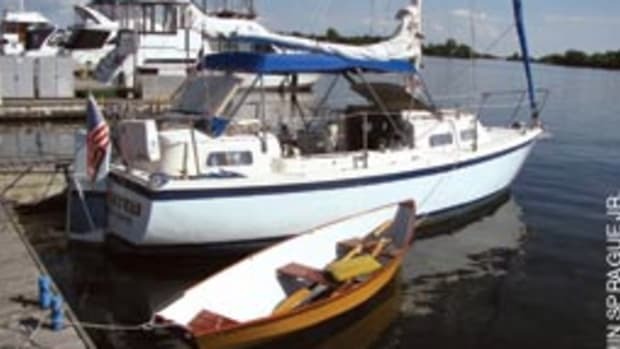 Every boat is a compromise, concedes Kingsland. When wrestling with the decision of just how big to build his dream boat, he came to this conclusion: As big as it could be. 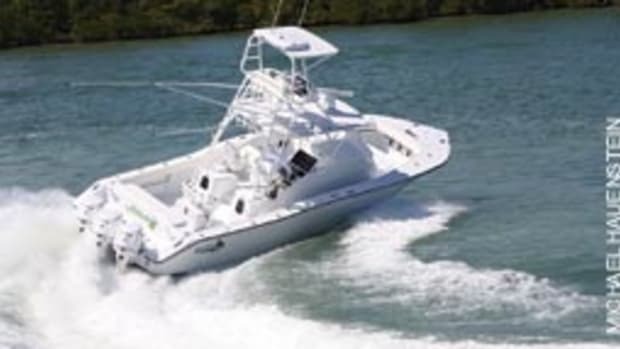 But what makes him most proud is when one of the many commercial fishermen in the harbor slows down to tell him, “She looks like a real boat,” and belie their astonishment that in the entire steel hull there is not a hint of a welded seam. On launch day, with the shore lined with cheering spectators and three inflatable “tugboats” standing by to aid with the launch, with Sandy having trouble breaking the champagne bottle on the bowsprit and questions about the engine starting, Kingsland says the launch was a blur. Even with several people aboard later, Restless floated perfectly on her lines as she hit the waves. Kingsland gave a speech of welcome and thanks to the crowd, but says he had not really been prepared to make an address. 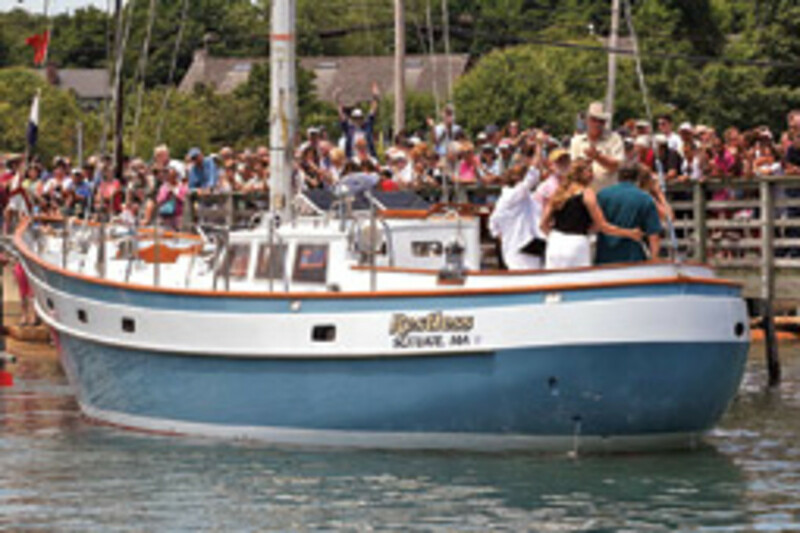 Realistically, Restless won’t sail extensively until her permanent rig and sails are fitted next summer. Then? “We’ll just see what happens,” he says in his soft-spoken, understated way. But the three women in his life have already picked up on that ancient promise made so many years ago to a couple little girls out in The Bop. The phrase seems to give a broad outline to the future of Restless and her family. 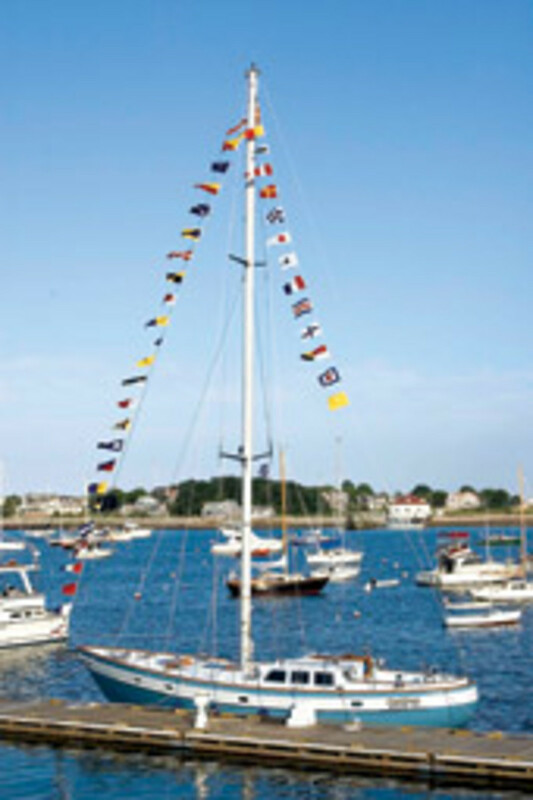 This article originally appeared in the New England Home Waters Section of the December 2009 issue.